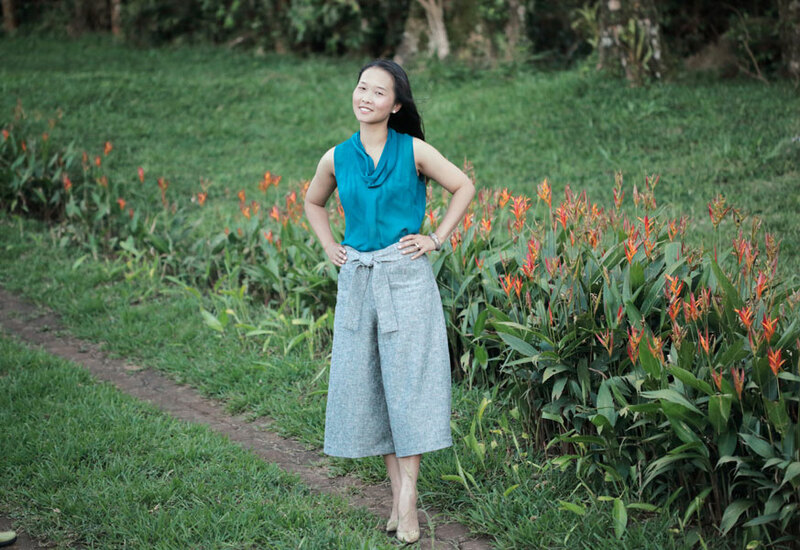 Emily Culottes hang like an A-line skirt, but they are actually roomy, comfy pants. Feel free to take big steps, ride a bike or play tennis in them. Wear your Emily Culottes with a fitted top and a pair of skin-colored pumps, and you too will look like a celebrity. Primary fabric: Any medium or bottom weight woven fabric with or without stretch would work with this pattern. Cotton, broadcloth, poplin, twill, denim, linen, linen blend, wool, wool blend, suiting and crepe are all good choices. 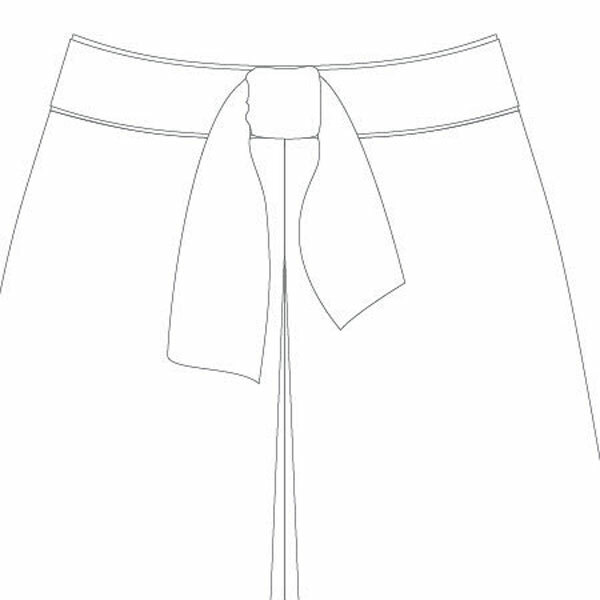 User lighter-weight fabric for the waist tie option. Fabric with different level of drape will create different looks. Stable fabric is preferable. Unstable knit fabrics, like jersey, are not recommended. However, you could use very stable knit such as medium weight double knit. 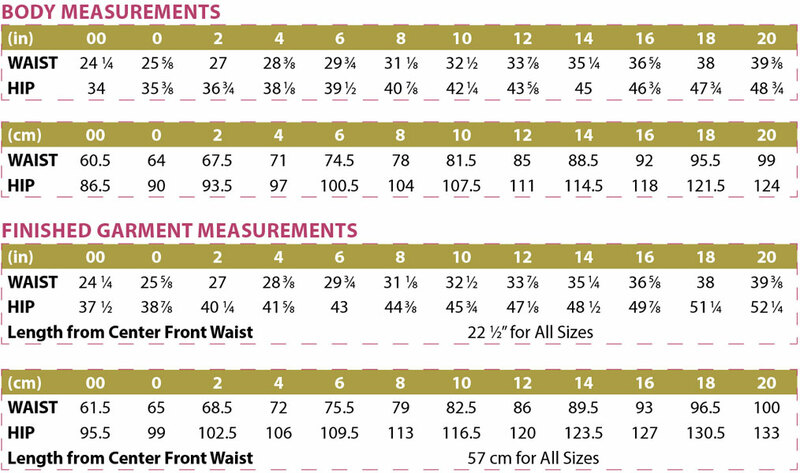 You should go down a size when you use a stable knit fabric or fabric with stretch. 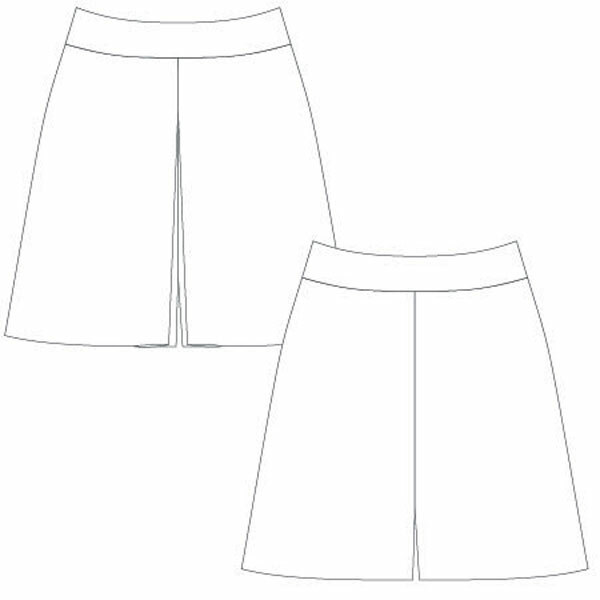 Lining: The lining fabric should have similar quality as the primary fabric, i.e. if the primary fabric has stretch, a lining with stretch should be used. Acetate, Ambiance by Bemberg, batiste, lawn, pima cotton, china silk, silk crepe de chine or silk georgette are all good choices as non-stretch lining fabric. 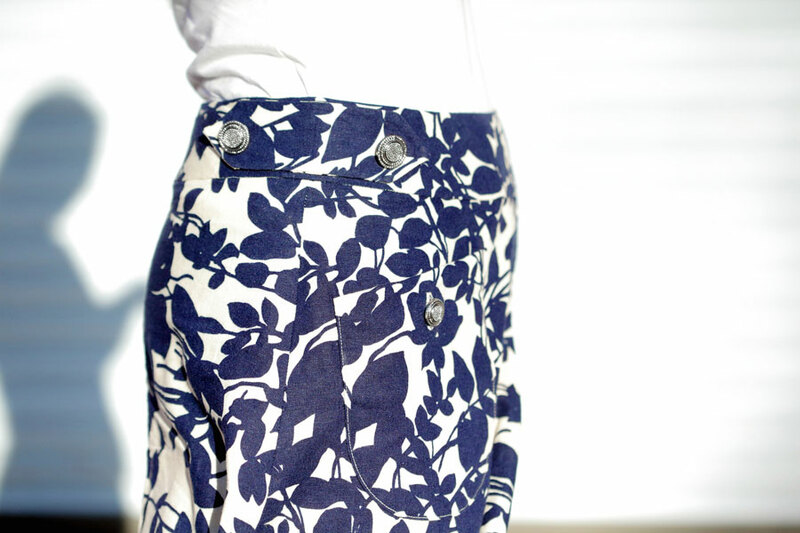 Even if you choose not to line the culottes, you will still need some lining fabric for the pocket options. Interfacing: Light to medium weight fusible interfacing is recommended unless the fabric is very delicate, in which case sew-in interfacing, such as silk organza, should be used. 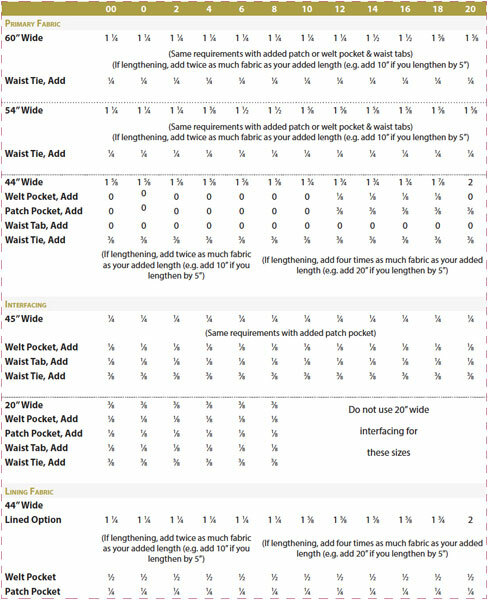 Choose very light-weight interfacing for the waist tie option. 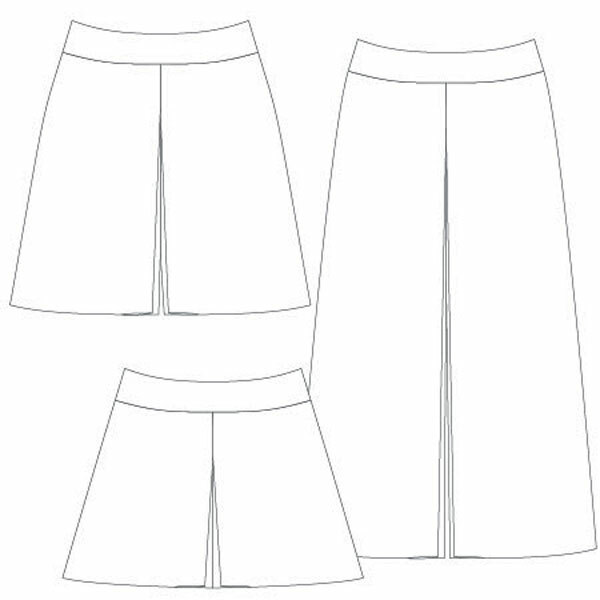 It is highly recommended that you check your fit by making a test garment with inexpensive fabrics that have similar thickness and stretchiness (if your fabric has lycra) as your final garment fabrics.